The Cleanroom Stretch Film is a super clear, single sided cling with excellent mechanical properties without the use of adhesive. It is completed with an inner Cleanroom PE plastic core (extruded in-house) and double packed in a certified ISO Class 5 Cleanroom (Class 100 Cleanroom). 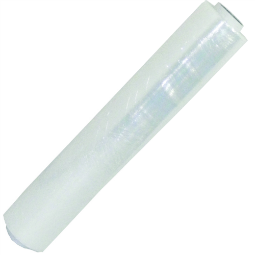 The Cleanroom Stretch Film is extruded with extremely low particulate, ion contaminants/outgassing, amines and halides free plastic film for packing where Cleanroom use is needed.